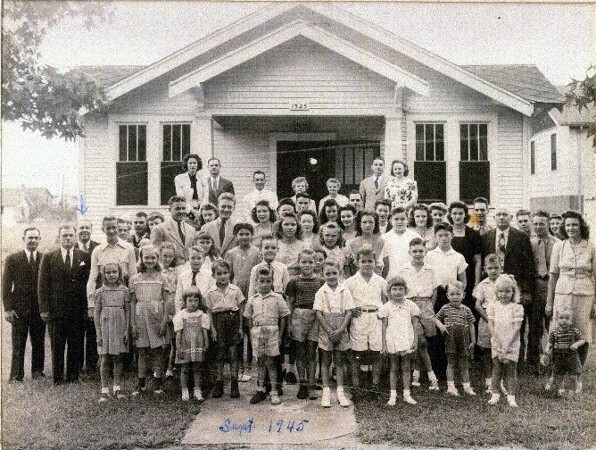 Comments: Ruby Love (Nee: ) | Savannah GA United States | 1941-1960 | Comments: This is a group photo of the first Mormon church in Savannah Georgia located on i believe 31st Street. Identified persons, The Robersons and their kids are in front, Bro. Beasely, Bro. & Sis. Richardson, Doris Hancock, Lessie Anderson, Ruby Love, and Bill Tyler.